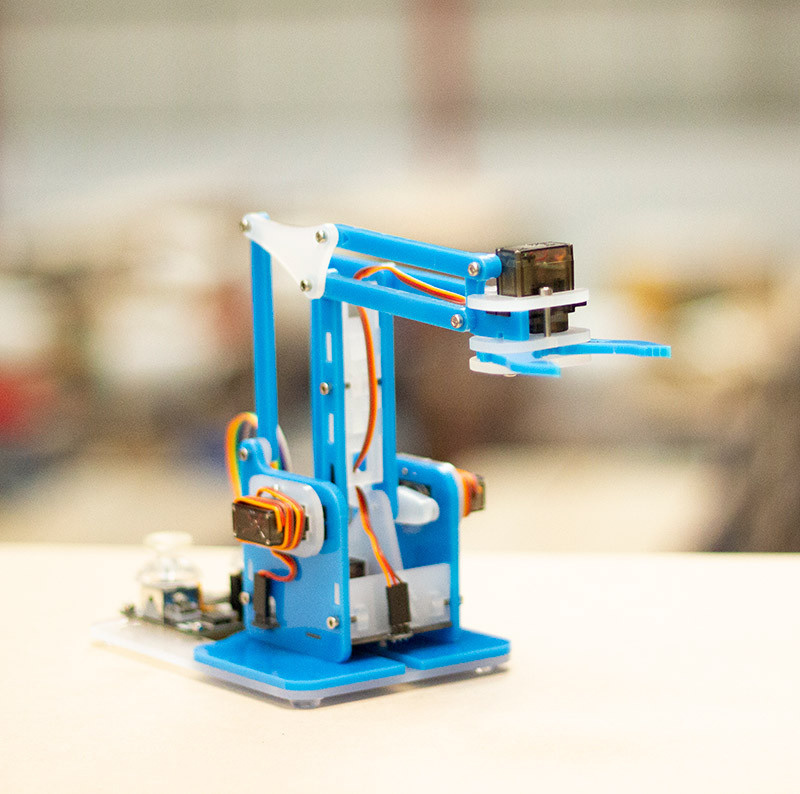 The MeArm microbit blue version is an easy-to-build robot arm kit that's designed to get children (and adults!) learning about technology, engineering and programming. It's been expressly designed to be easy to build (age 11+) and use. This kit does not include a micro:bit. The micro:bit is available separately.